Hiss Spun was recorded by Kurt Ballou in Salem, Massachusetts at the tail end of winter 2017 against a backdrop of deathly quiet snow-blanketed streets and the hissing radiators of warm interiors. While past albums operated on the intimacy of stripped-down folkmusic (The Grime and the Glow, Unknown Rooms), or the throbbing pulse of supplemental electronics (Pain Is Beauty, Abyss), Wolfe’s latest offering wrings its exquisiteness out of a palette of groaning bass, pounding drums, and crunching distortion. It’s an album that inadvertently drew part of its aura from the cold white of the New England winter, though the flesh-and-bone of the material was culled from upheavals in Wolfe’s personal life, and coming to terms with years of vulnerability, anger, self-destruction, and dark family history. Aside from adding low-end heft with gratuitous slabs of fuzz bass, longtime collaborator Ben Chisholm contributed harrowing swaths of sound collages from sources surrounding the artist and her band in recent years—the rumble of street construction at a tour stop in Prague, the howl of a coyote outside Wolfe’s rural house in California, the scrape of machinery on the floor of a warehouse at a down-and-out friend’s workplace. Music is rendered out of dissonance—bomb blasts from the Enola Gay, the shriek of primates, the fluttering pages of a Walt Whitman book are manipulated and seamlessly integrated into the feral and forlorn songs of Hiss Spun. The album opens with the sickening bang of “Spun”, where a lurching bottom-heavy riff provided by Chisholm and Troy Van Leeuwen (Queens of the Stone Age, Failure) serves as a foundation to a sultry mantra of fever-dream longing and desire. The first third of Hiss Spun—whether it’s the ominous twang and cataclysmic dynamics of “16 Psyche”, the icy keyboard lines, restless pulse and harrowing bellows of Aaron Turner (Old Man Gloom, SUMAC) on “Vex”, or the patient repetition and devastating choruses of “The Culling—all carry the weight of desperation, lost love, and withdrawal. Wolfe’s introspection and existential dread turns outwards to the crumbling world around us with “Particle Flux”, an examination of the casualties of war set against an aural sea of static. White noise is a constant thread through Hiss Spun, with Wolfe finding solace in the knowledge that radio static is the sound of the universe expanding outwards from the Big Bang—a reminder that even dissonance has ties to creation. The electronic thump of “Offering” serves as an ode to the Salton Sea and the encroaching calamities stemming from climate change. The obsession with white noise and global destruction carries over into “Static Hum”, where the merciless percussive battery of Wolfe’s former bandmateand current drummer Jess Gowrie helps deliver the dire weight of a sonnet dedicated to a “burning planet.” By the time the album closes with “Scrape”, Wolfe has come full circle and turned her examinations back inward, reflecting over her own mortality with arguably the most commanding vocal performance in her entire oeuvre. “The album is cyclical, like me and my moods,” Wolfe says of Hiss Spun. “Cycles, obsession, spinning, centrifugal force—all with gut feelings as the center of the self.” And it’s an album that Wolfe sees as a kind of exorcism. “I’m at odds with myself… I got tired of trying to disappear. The record became very personal in that way. 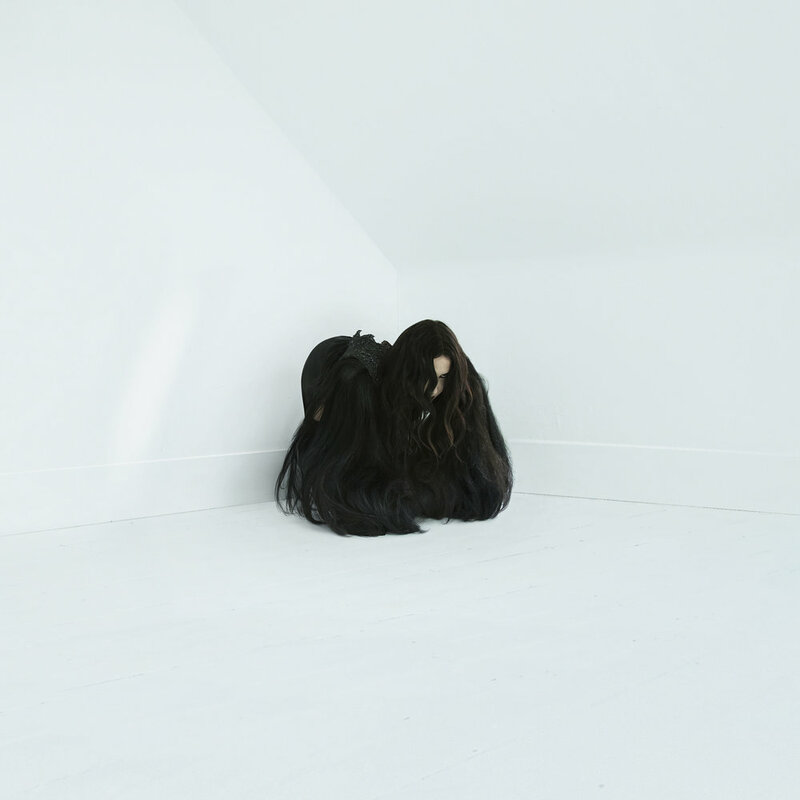 I wanted to open up more, but also create my own reality.” Every Chelsea Wolfe album is cathartic, but never before has both the artist and her audience so desperately needed this kind of emotional purging. Sargent House is proud to release Hiss Spun to the world on September 22nd, 2017. Her radio show through Red Bull Music Academy called "Hypnos Hour"
Her new album "Hiss Spun"